Mixing cocktails at a level beyond anyone else in the world, a sommelier, the one known as the liquor god Li Jie Dong. He died at the age of thirty in order to taste the recently excavated wine from the Han Dynasty. When he awoke, he found himself in the world of the Five Element Continents as Ji Dong the little beggar. In this place, there was a special occupation known as the Yin Yang Spiritual Masters who control the the 10 elements of the sexagenary cycle. These bizarre 10 elemental techniques could make anyone gasp in amazement. Each and every Yin Yang Spiritual Master has their own Ying Yang crown that is condensed by one’s own attribute. Due to the abundant love the people held for their wine and liquor, bartenders gradually gathered together to form a guild. This guild is named the Bartender Guild, and is respected by all. Tis is actually a very short novel compared to, but it's really really good (raws). Characters are awesome, and fun. Story can be confusing and weird at times, but the world building is very interesting and only adds to the story. One day may the rest of the world find the joy of this novel. A so so read. It's about a kid who acts very arrogant and pretends to know everything but in actuality, he is fkin useless and and super weak at the same time. Review as of end of Volume 1. 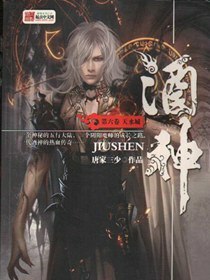 The first volume is mostly about world-building and establishing the setting. Switch out the novelty of cocktail mixing with, say, medicine making or being a chef and you pretty much have the same story. It’s just a vehicle to show off the author’s knowledge of wines and cocktails, similar to the author’s description of fine living and luxury goods in his other work, “Skyfire Avenue”. And just like Skyfire Avenue, the setting looks to be a jumbled mix, trying to cram potential paths to give... more>> the MC ways to become overpowered. Not only that he was reborn with his memories intact, he worms his way to become the apprentice of a magic school teacher. He is also born with a unique body characteristic. Oh, and finding his way to meet a somewhat friendly, powerful being by complete accident. This isn’t a novel about making cocktails, it’s a novel about a guy who journeys to become powerful and knows how to make cocktails. Making cocktails is just an excuse to ingratiate himself to others, instead of the stereotypical “kneeling in the rain” to move the heart of a teacher. I honestly love the story idea and his epic talent, but his arrogant attitude is a huge putoff. I swear, if it wasn't for his luck to run into a master who loves good wine he would be - completely - useless. Classic Tang San style novel. If you dont undertand what I meant go read more novel by him. MC, the one called the Wine God, dies after drinking an ancient wine. Thinking he has no regrets, accepted his death. Sike! God doesnt let him go, instead he was sent to another world, possessing the body of an orphan kid who recently died of cold, under a bridge. Thus began his painful life of a poor child in contrast to his previous life of someone standing at the peak of the world. Luckily or perhaps unluckily, he still has his old memories, yet he is too poor to mix wine. And then he met and old man who at the same time is a wine connosseur, and mixed wine for him to tempt the person to take him in. Gotcha! Who could resist a wine mixed by a wine god. So he got a job mixing wine for the old man in exchange for learning for free. After this is the common Xianxia and Tang San part. There is still some wines here and there, but the novel changes focus from wine to Xianxia. Story progress normally, random skills here and there, kill this dude save that dude, showoff some wine mastery, meet beauty fall in love (remember he is older than he looks yet a virgin), and then repeat them all (except the beauty fall for him instead). Starts peaking when the war gets close, no real feel of war of any sort at all tho, fight some more, cry, die. Then get revived by the 2 old dudes that used their lives as bets, became God in place of them. Finally troll old dude seeking love with a prostitute. Oh, there is also some pig with flower on its tail. Reincarnation. Liquor. Magic. Seems to have potential. So far so good. Pretty awesome. Has lots of potential.